Calls, messages, and internet usage are the part of our daily routine. It is impossible to pass the day without using mobile. Mobile phone provides different communication features to stay connected. But it all cost you some charges and mostly rates for all these services are high. High charges restrict customers to get most out of their communication. So, they are always in search of cost-effective bundles to meet their communication needs. Most people prefer daily bundles as these are low in cost and give you maximum benefits. Usually, daily offers have come with a single resource of either minutes or SMS or data Mbs. But this time Jazz has come up with a complete daily bundle. If you are in search of an all in 1 daily bundles then jazz day bundle is here for you to give you unlimited on-net minutes, SMS and data Mbs at the lowest rate of Rs10 including taxes. Call setup charges of Rs 0.15 including tax will apply to each new call. For activation of Jazz day bundle, you have to dial *340# from your prepaid connection. *340*2# is the status string and *340*3# in the bundle info string. To deactivate the offer, you have to dial *340*4#. Unlimited Jazz minutes to make calls on any Jazz and Warid numbers at no cost. 150 SMS to chat with your friends on all local networks. 20 Mbs of mobile data for free usage of internet. 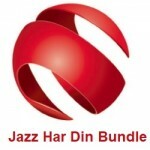 Subscription of day bundle is allowed for only prepaid subscribers of Jazz. The offer will remain valid for a day as it is a daily bundle. Only from Jazz to Jazz and Warid calls are allowed. If you are not availing any package or offer, you will be charged at base rates. Allocated Mbs will be effective for all internet users of Jazz. Over usage of data Mbs will charge you at Rs 1 per Mb. 4% higher charges will apply in Islamabad, Gilgit Baltistan, FATA, and AJK. 14% withholding taxes will apply to recharge, bill payment, and other usages. In Punjab, Baluchistan, Sindh, and KPK 5% service charges, operational fees and 19.5% FED taxes will be charged. In AJK, FATA, Federal areas, and Gilgit Baltistan 5.11% service charges, operational fees and 17% FED taxes will be charged. Jazz has the right to change or withdraw the offer any time as per company rules. It is an unlimited time offer and all terms & conditions will apply. 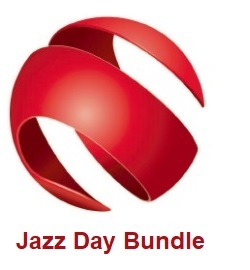 Jazz day bundle is another amazing addition to jazz daily bundles list. Subscribe it and get unlimited minutes, SMS on all local networks and free data Mbs at affordable rates with Jazz day bundle.